The fantastic world of "Game of Thrones" arrives in Cagliari. The MEM (Mediateca del Mediterraneo) hosts a series of events dedicated to the fantasy genre and to the people keen on the famous series "Game of Thrones". The characters, created by the American writer G.R.R.Martin , on April 13th and April 27th, will be personified by cosplayers who will compete for the "audience award" on May 11th. Just a few days before the last output series's, Arya, Varys and the other protagonists of "Chronicles of ice and fire" will lead the readers in a world of "power", "love" and "honor". Significant opportunities for those people interested in working in the world of cinema and tv series. 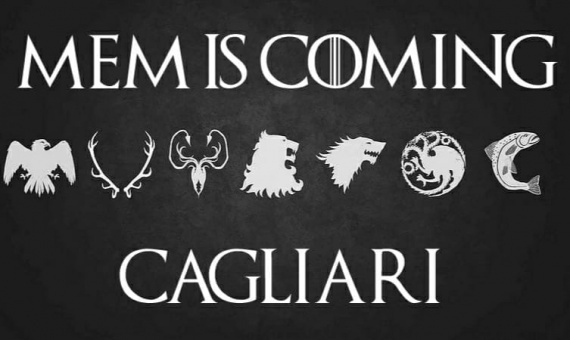 Daniele Giuliani, Jon Snow's voice, will lead a meeting about voice acting, in collaboration with Sardegna Film Commission Foundation on May 25th.